Where has time gone!!! In less than 2 days the spectacular Fashion For Life 2014 Event will be over! Time is really flying, so be sure to stop by today, and check out the amazing 10 sims. There is so much to see and the selection of the exclusives made for the event will have you salivating and opening your purse, time and time again! Please, be generous, as we all are affected by the rages, pain, and death that cancer brings. So spend, spend, and SPEND! It is all for a worthy cause! One of the very talented designers, from the event, is ghee! ghee has wowed us with the electrifying, color changing, Spike Gown. I was mesmerized, as I watch the play of colors, that changed, on the collar, bodice, and skirt. The gown is fitted mesh, meaning that the gown will fit to your shape. The ensemble consists of the neck collar, spiked cup corset, and the slim fitted skirt, that hugs your hips tight and flares out towards your knee. You will definitely make an entrance, in this innovative gown! You must purchase this gown, as my pictures cannot do it justice. 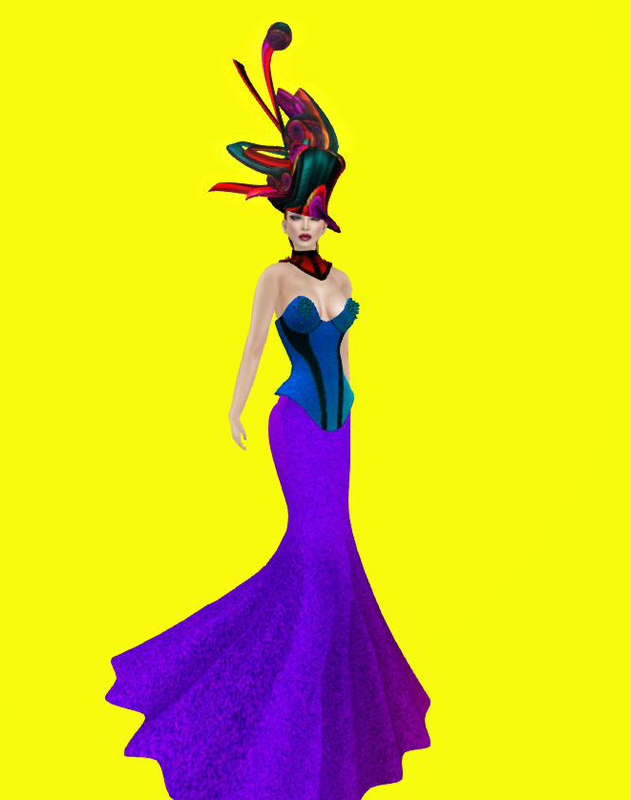 I have never seen anything like this, gown, in Second Life! When you, purchase this fantastic gown and look at yourself, in this gorgeous Spike Gown, by ghee, know that others will see your outer beauty, but you will know that your true beauty is within. Be color chic in ghee! Fashion For life 2014, ends at midnight, on June 20th. ghee is located on the Trek Sim and the land mark is below. Once you land, just click it again to be taken to the front of the store. If you would like more information on the Fashion For Life 2014, please click the below link.